Roughly fourteen full phases of the moon ago, I wrote an article on MX Tools, a unique and useful bunch of dedicated utilities packaged with the MX Linux distribution. 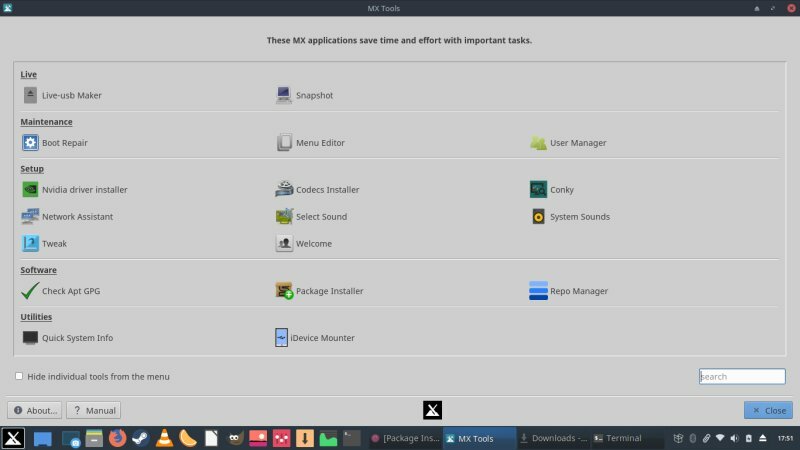 This toolbox offered the ordinary (or new) MX Linux user a chance to perform some common configuration tasks with easy and elegance. In general, MX-16 was a great player, and the recent MX-17 is even better - and at a first glance, so is the new version of MX Tools bundled with the system. Good stuff. So I set about testing, to see what has changed, and in what way this set of utilities has improved, if at all. But I'm positive. Let us commence. The most immediate change is that the MX Tools main interface looks nicer. Better organized, better logical separation of functional categories, a more intuitive labeling and grouping. Indeed, clicking into any which one of these, you do see things are ever so slightly more legible, and this is quite useful, and should help reduce anxiety with new users. 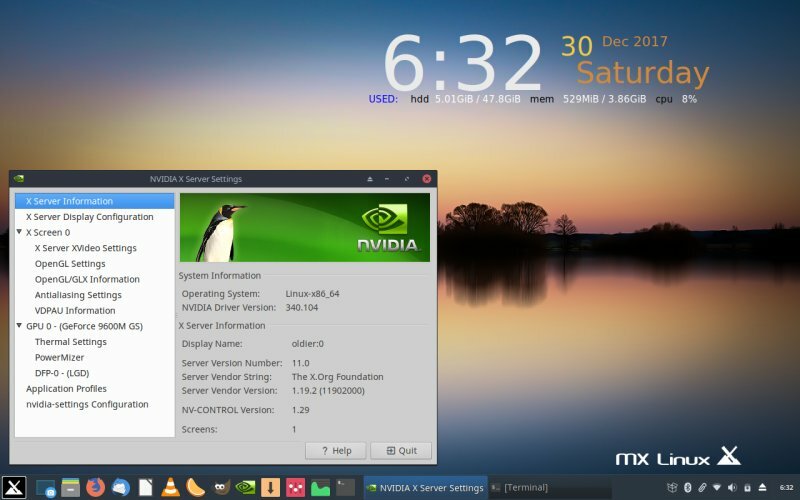 Overall, very few distributions have these new user shepherd sets, with Linux Mint and the MX Linux being a few among many that actually bother providing the assistant welcome screen and these dedicated utilities to help them on their journey. MX Tools come with a lot of goodies. 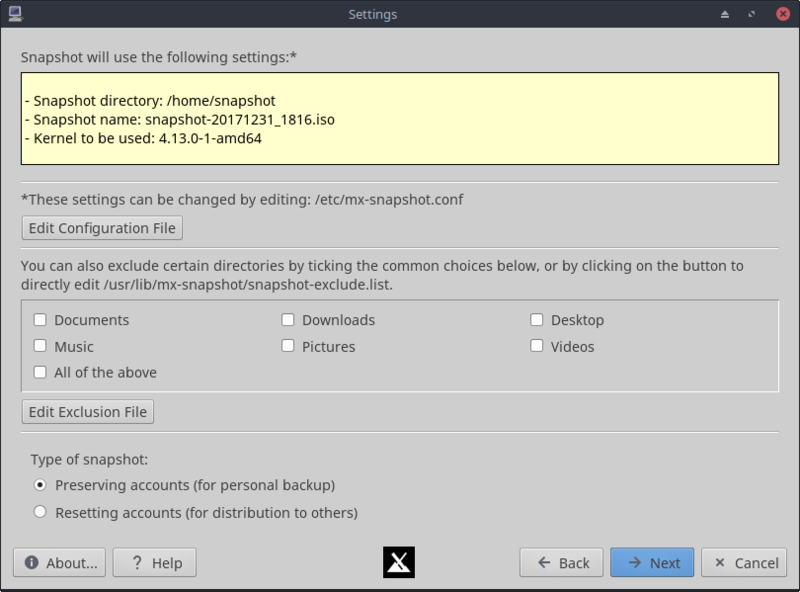 Notably, you have the ability to make your distro look the part and behave as you like. Tweak, or rather MX Tweak, is one of the utilities, and it lets you shift the panel from its default vertical position on the left to anywhere else you want on the screen. I did this in the Horizon review, and it worked well. Better than what we had with MX-16. Cleaner, more streamlined, without any bugs. 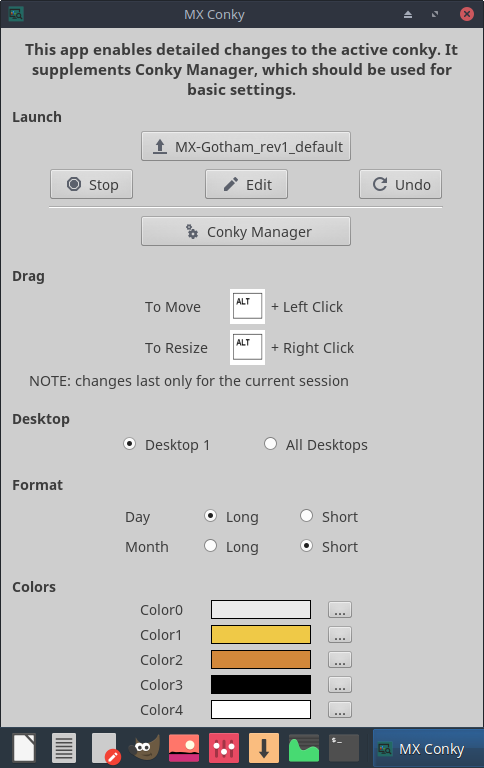 Then, going back to the main utility, you can also customize the system menu, display Conky on the desktop, and a few other tricks. 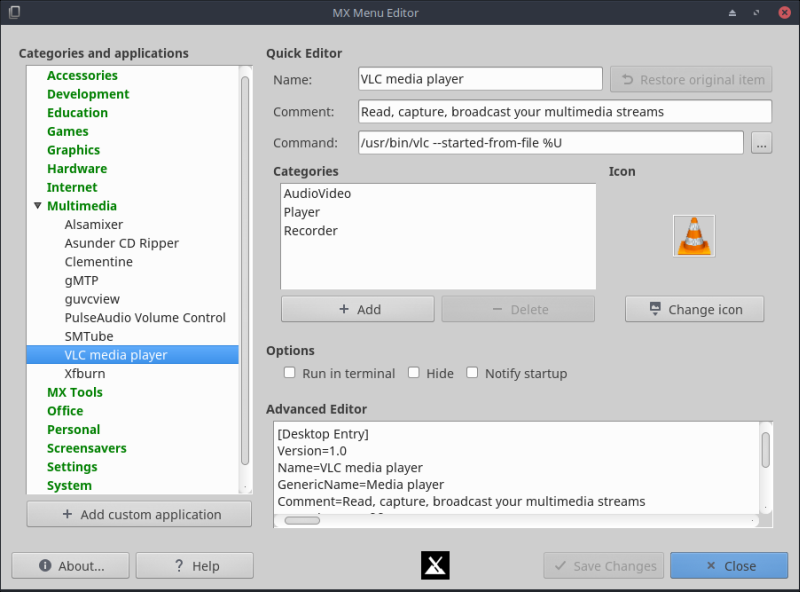 Most people will appreciate the ability to setup their drivers easily, and/or obtain plugins and codecs for the media. I tested the functionality on the LG RD510 laptop, which comes with an Nvidia card, and this worked beautifully. 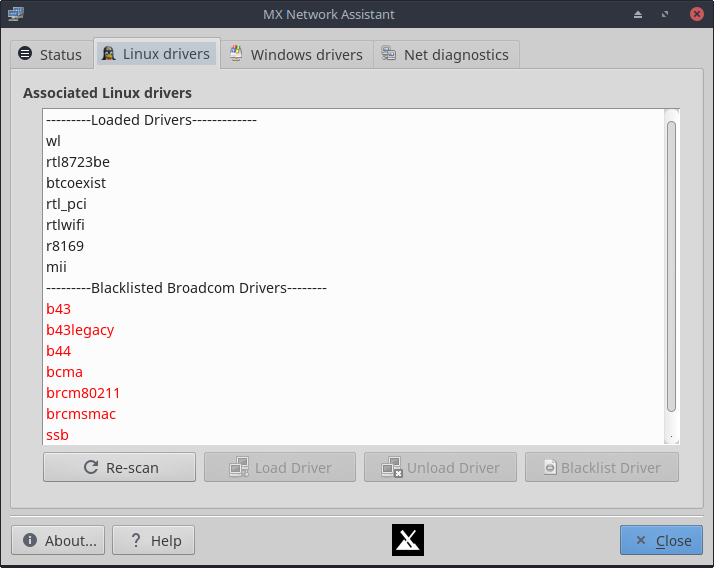 You can also setup network devices, with focus on Broadcom drivers separately. Lastly, you can also configure DVD codecs. 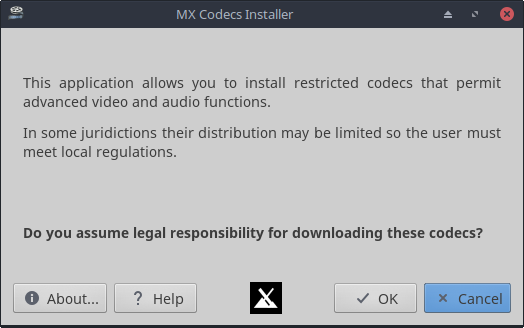 By default, MX Linux does ship with most music and video codecs, but this one seems to be a little more restricted when it comes to law and whatnot, hence the dedicated entry. 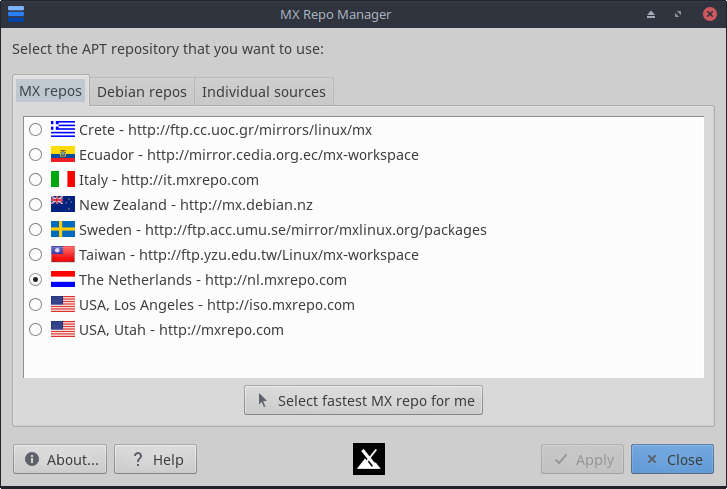 MX Tools let you choose your MX repos, Debian repos, as well as individual, custom sources you may have added (like perhaps Google Chrome, Skype or alike). You also have the ability to switch to the fastest repo. There aren't too many options, but it's still a very welcome gesture. This is probably one of the most useful aspects of MX Tools. Like the good ole Remastersys, it lets you create bootable images of your running system - think system images plus rescue media combined. You can bundle all your current changes, apps and even data (with the ability to make custom exclusions), and then redistribute the created ISO as needed. Best of all, you can create personal images, which do include all your stuff, and then clean distros, which comes without your stash of pr0 ... personal memorabilia. 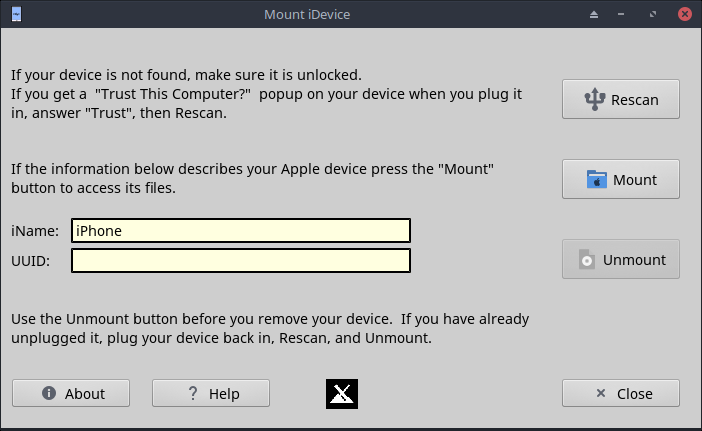 The other highly useful utility is iDevice Mounter. As the name implies, it lets you use various Apple products, as they may not be visible the normal way through a file manager once you plug them in via USB. Indeed, I actually had to use it to mount and see my iPhone 6s (with iOS 11), but it worked as advertised. Combat proven. Noice. Overall, MX Tools worked fine - and like I expected and hoped, better than in the past. Fewer errors, less ambiguity, a cleaner, more accessible interface, and everything worked, including tests on two different machines, with drivers, codecs, snapshots, gadgets. Jolly. That said, there are some small problems. Some items do not fully align in the GUI, and there's still a small matter of consistency on how stuff should be arranged. For instance, under Maintenance, you have the Menu Editor listed, but perhaps, it's not the best choice, because it's not maintenance per se, but then, it's not setup either. Then, lastly, MX Tools should perhaps include additional tasks and features. I'm not saying let's ape YaST in openSUSE or the neat control center in Mageia, but there are still other things that ordinary people may want to use now and then. MX Tools turned out to be a predictable gem, just as I'd expected. Well, I'm cheating, because I wrote this article after some rather thorough testing. But then, if you look across the wider spectrum of Linux home distributions, there aren't that many unique players with distinctive features. Quite often, it's the rehash of old and familiar with some extra color, polish and rebranding. 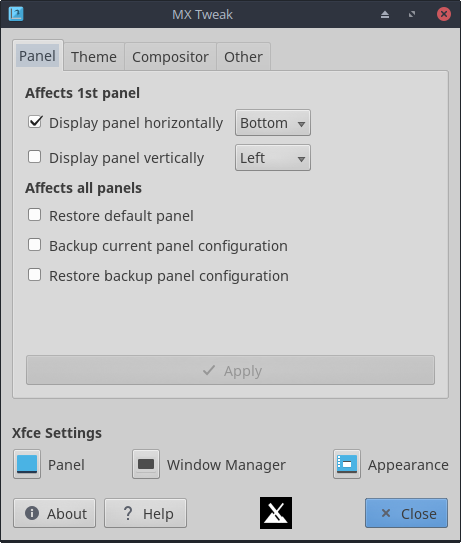 MX Linux goes the extra mile (or kilometer, if you will) in making the newbie experience meaningfully different. Future improvements could potentially include an interactive walkthrough - so users will be actively prompted and helped along in their tasks. Then of course, there's the matter of visual appearance, in the UI itself. But in general, MX Tools TNG is better than we had before. More elegant, more streamlined, better looking, and most importantly, more practical. 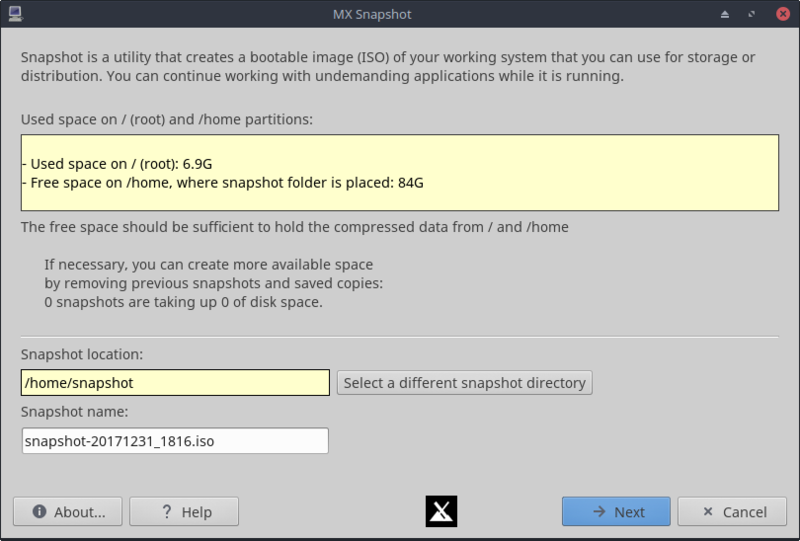 This is a good and useful toolbox, and it makes a solid distro even more appealing. Well worth testing. So do it. And take care.